Sri Swami Vishwananda performed the first Bhu Devi Yagna, at Shree Peetha Nilaya, in May 2009, to send positive vibrations to the overburdened Mother Earth, due to mankind's negativity. He conducted the Bhu Devi Yagna for four more consecutive years, and in 2014, he decided to rename this event as Mahalakshmi Yagna. Last weekend we have just had the opportunity to participate for the second time in a Mahalakshmi Yagna at Shree Peetha Nilaya. 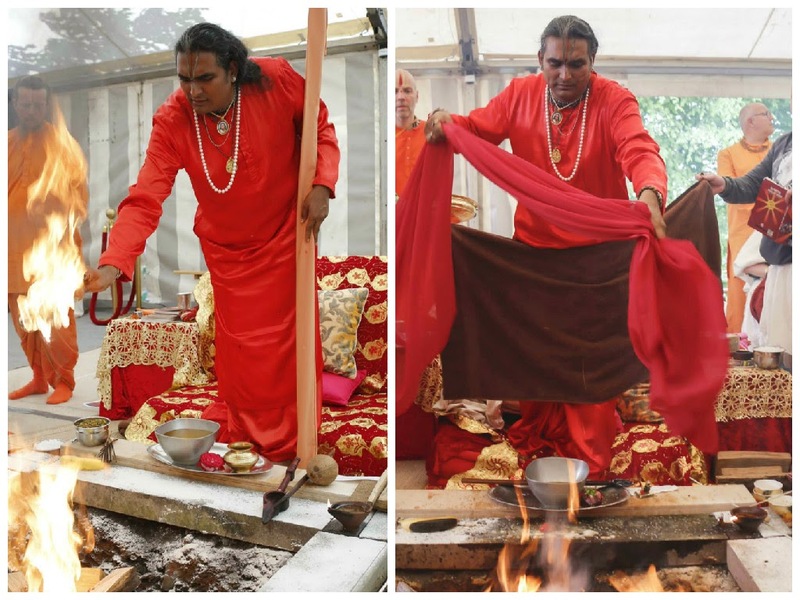 Last Saturday, at the beginning of the Mahalakshmi Yagna, Sri Swami Vishwananda gave a speech about Mahalakshmi and emphasised the importance of this event for Mother Earth. Please see below the highlights of this speech. “Mahalakshmi is the Goddess of material and spiritual wealth. She gives prosperity, wisdom, fortune, fertility, generosity, courage and many other gifts. She is also the Goddess of beauty, charm, grace and in the Vaishnava tradition She is a mediator between Lord Narayana and the people. “What does the Churning of the Milky Ocean stand for? 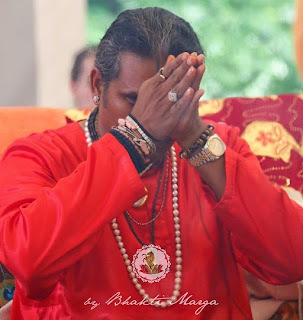 When you start your spiritual path, what first arises in the mind is always the poison, which is all the pride, arrogance, guilt, all the negativity which is deep inside of you; you don't want to see it, nevertheless it is there. 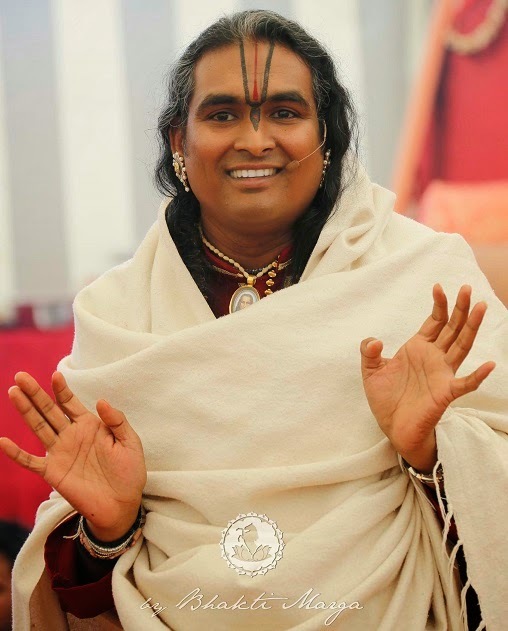 On the spiritual path you have to cleanse yourself, you have to purify yourself in order to approach Lord Narayana. If you are not purified it's very difficult. “Mahalakshmi is the One who gives the sixteen gifts like fame, knowledge, courage and strength, victory, good children, wealth, abundance of food, happiness and so on. But at the same time, She is also the One who deludes the ones who receive the gifts. 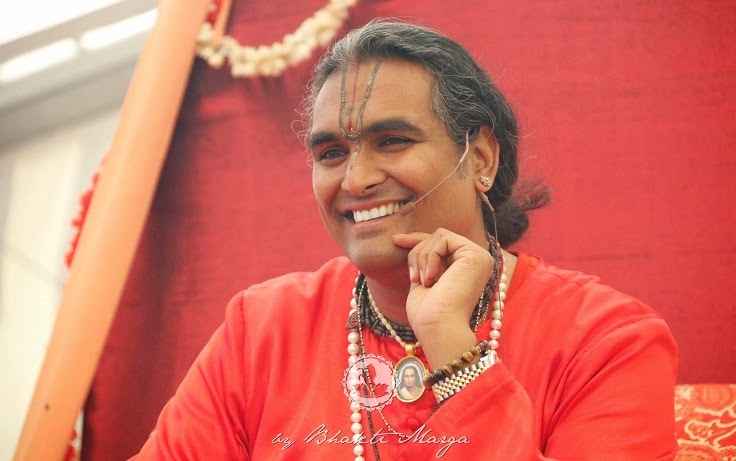 By attaining a certain gift on the spiritual path, you advance, you grow, but it doesn't mean that you are free. This is not the ultimate aim. Do you remember the story of the woodcutter? (JL2; Deep Diamonds, Darshan, Steffenshof, Germany, May 4 2008; p. 27). “As nowadays you perceive great changes happening in the world, so offer your prayers to Mother Earth. 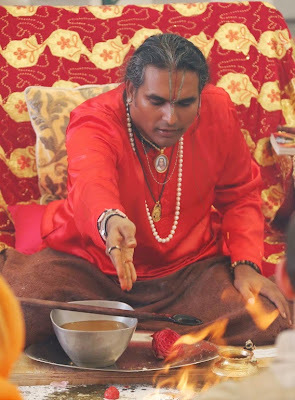 When you are doing the yagna, offer that vibration to Her. Don't think only about yourself saying, ‘Oh, I have come here, I have to profit from it. I have to take everything for myself.’ She will give you enough so that you can even distribute. Of course, it's not something material that you can say, ‘Yes, I take this and I'm giving it now. Done!’ No! 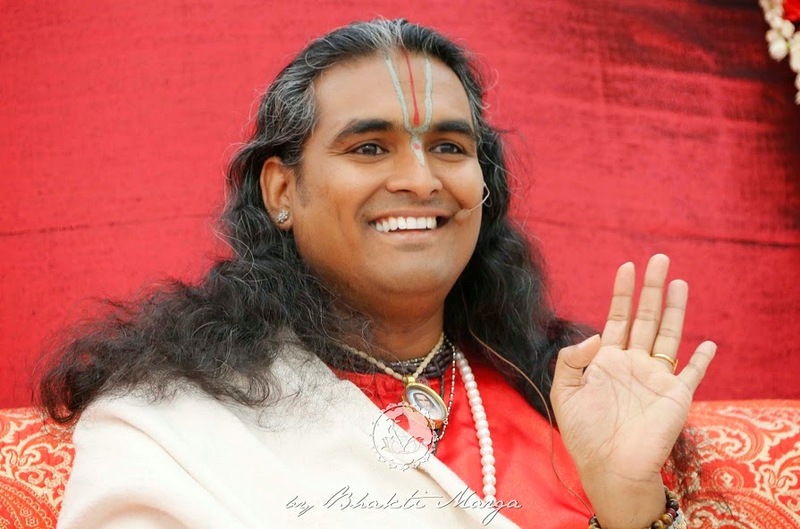 It is through your sadhana, through the mantra you are chanting that you receive and distribute. Let this prayer rise and go around the world. May everybody profit from that and may everybody have peace. May peace truly be in the heart of each person. Let Goddess Mahalakshmi which we are praising today, give true wisdom to people so that they remind themselves that they are human beings and shouldn't act like animals. People do nasty things because they are not at peace with themselves. They don't love nor trust themselves; they don't trust their inner feeling. So, they can't trust others. They can't trust in God. 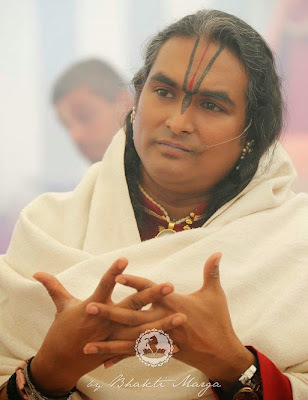 At the end of this event, Sri Swami Vishwananda led everybody present, in a guided meditation to offer the punya of these two days' prayers to Mother Earth, to the needy, to the sick, to our relatives, friends, people who love us or don't love us... to humanity at large.